CLICK ON ANY OF THE IMAGES BELOW TO PURCHASE THE PRODUCT. 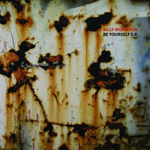 BE YOURSELF EP. Released 2011. A three track solo EP. Written and recorded with Patrick Cornell in ‘The Bunker’ studios in Los Angeles. 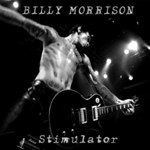 STIMULATOR ALBUM. Released 2008. Originally recorded in 1998 as ‘Stimulator – the band’ and finally released as a solo album ten years later. CIRCUS DIABLO ALBUM. Released 2007. Billy Morrison (Vocals, Guitars and Bass), Billy Duffy (Lead Guitar), Ricky Warwick (Guitars), Matt Sorum (Drums). 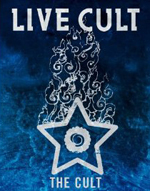 THE CULT – MUSIC WITHOUT FEAR DVD. Recorded live in Los Angeles in 2001 – part of the Beyond Good And Evil world tour. 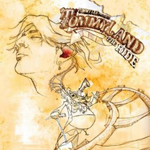 TOMMYLAND – THE RIDE ALBUM. Features guest guitar by Billy Morrison on three tracks. EMPLOYEE OF THE MONTH SOUNDTRACK. Features two tracks by Camp Freddy. ROBBIE WILLIAMS – SOMETHING BEAUTIFUL. Features a track co-written by Billy Morrison. 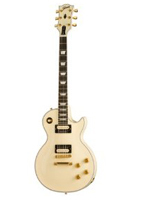 GIBSON BILLY MORRISON SIGNATURE LES PAUL. Released 2011. Billy’s signature guitar.